Every two years, the member-institutions of the SERP-P Network meet to review the progress of the SERP-P project implementation and plan for ways forward. Ultimately, the meeting aims to strengthen the partnership between and among the 53 member-institutions in knowledge exchange. 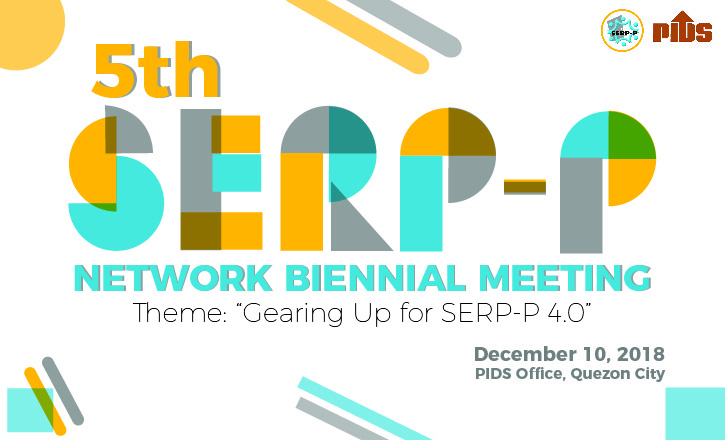 For its 2018 meeting, the theme is “Gearing Up for SERP-P 4.0”. For more information, visit the SERP-P website. Copyright © 2017 Livestreaming of Philippine Institute for Development Studies. All Rights Reserved.